Party Hosts can now Earn a Kit! The Host-Exclusive Starter Kit is a tools-based kit with everything you need to start your own business for just $59. 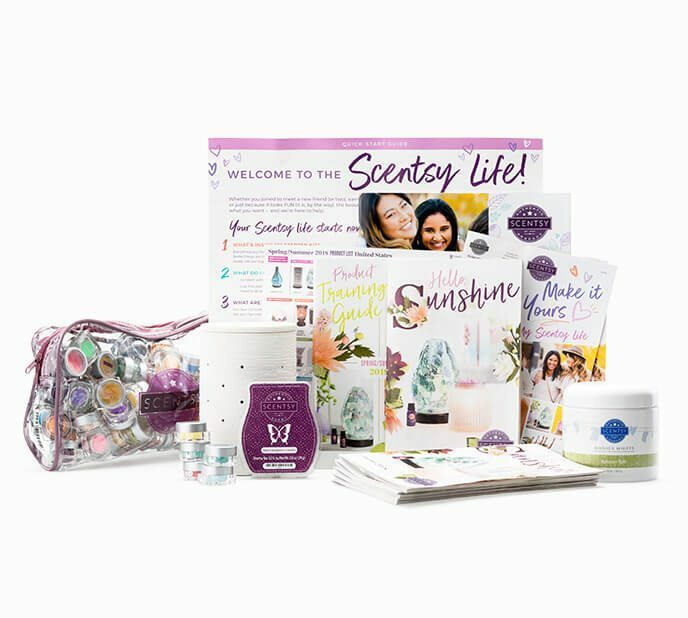 As a Host, you can then supplement that kit by using your Half-Price items and any remaining Host Credits earned at the party to purchase Scentsy products that will help you build your business your way by selecting products you’re passionate about to essentially customize your own kit. Depending on the size of the party, you could get a greater total kit value for less out-of-pocket costs than if you purchased the regular Starter Kit! What does the Host-Exclusive Starter Kit contain? The Host-Exclusive Starter Kit is primarily a tools-based kit with fewer Scentsy products than the regular $99 kit. Visit the Host page for current Host-Exclusive Starter Kit contents. Hosts are encouraged to use any Half-Price items and any remaining Host Credits earned at the party to supplement the Host-Exclusive Starter Kit. This allows them to build a custom kit that goes beyond the tools. They can include products they are passionate about that will help them build their business the way they want. What is the cost of the Host-Exclusive Starter Kit? Before any Host Credits, the Host-Exclusive Starter Kit is $59. Can a Host use this program to purchase the regular $99 Starter Kit? No. Only the Host-Exclusive Starter Kit is available for purchase with the Earn a Kit option. Hosts are encouraged to use any Half-Price items and any remaining Host Credits earned at the party to supplement the Host-Exclusive Starter Kit. Depending on the size of the party, Hosts could get a greater total kit value for less out-of-pocket cost than if they purchased the regular $99 kit. How can I use this program to build my business? This program gives your Hosts a compelling reason to consider becoming a Consultant and provides an incentive for your customers to host a Scentsy party! How does my Host enroll? When you enter the party in your Workstation, add the Host-Exclusive Starter Kit to your order using Host Credits. Once the kit is added to your cart, an email will be sent to your Host. In that email, there US-EN will be a link that the Host will need to follow to complete enrollment. You will not be able to submit the party order until your Host has completed the enrollment process or the kit has been removed from the order. How long does a Host have to complete their enrollment? If your Host does not complete their enrollment using the link in the email within 24 hours, their HostExclusive Starter Kit will be removed from the cart. If your Host is still interested in joining Scentsy, you may add their kit back to your party order. But remember that the longer you wait to close the party, the longer your other customers will wait for their orders. Your party cannot be submitted until your Host enrolls, or the kit has been removed from the order and their Host Credits have been redeemed toward other products. Can the Host change their mind about using the Earn a Kit option? Yes. If your Host doesn’t enroll within 24 hours, their Host-Exclusive Starter Kit will be removed from the cart. At this point, have your Host select the products they would like to apply those Host Credits toward and submit their party order. You also have the option to remove the kit from your cart before the 24- hour window has expired. If your Host completes their enrollment but changes their mind, removing the kit from your cart will nullify their enrollment. Will the Host-Exclusive Starter Kit ship to me? No. The Host-Exclusive Starter Kit will ship to the address your Host provides during the enrollment process. You can choose to have the entire party order delivered to you or your Host — it will ship to the address set up within the party. If the party order is shipped to your Host, you will need to coordinate the delivery of customer orders with them. Will the Host-Exclusive Starter Kit ship with the rest of the party order? No. As with all Starter Kits, it will be expedited and shipped separately from the party order to ensure your new team member receives their kit as quickly as possible. Please remember that the kit will not ship until the party order is submitted. If a Host enrolls at a party, what will be their enrollment date? 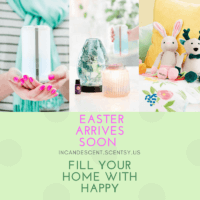 Hosts who choose to use their Host Credits toward the purchase of a Host-Exclusive Starter Kit will officially enroll with Scentsy on the date the party order is submitted. Can a former Consultant reinstate their Scentsy account through this option and get a new Starter Kit? No. This program is only for brand new Consultants. Cancelled Consultants would not be eligible to use the Earn a Kit option. BECOME A SCENTSY CONSULTANT EARN YOUR STARTER KIT WITH A QUALIFYING PARTY! 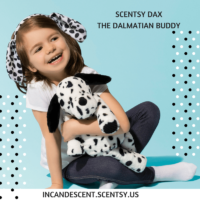 NEW SCENTSY BUDDY SPOTTING – MEET DAX THE DALMATIAN SCENTSY BUDDY!